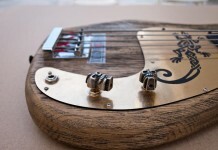 The incredible dynamic of an electro-acoustic organ lead us to the construction of the Tigris Bass. 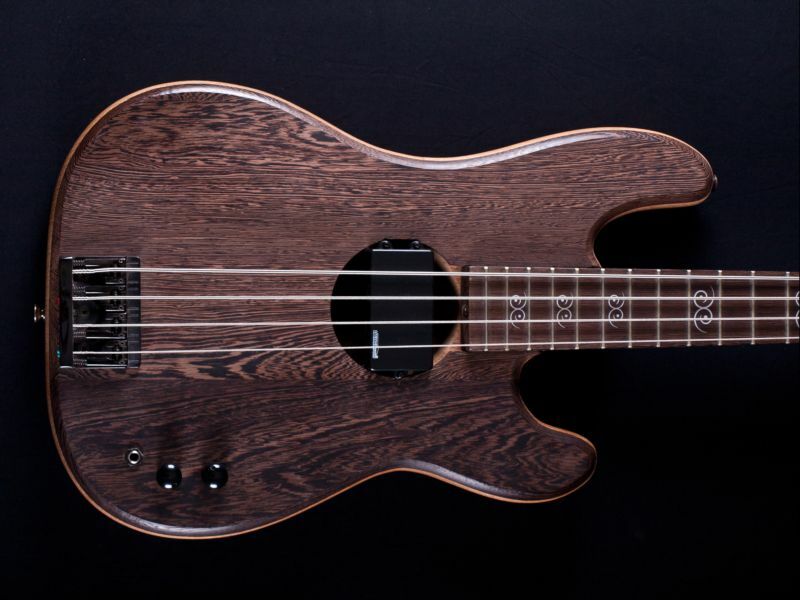 The striking lines of wenge wood characterize the semi-hollow vessel with a skeleton made of iroko, a fairly hard wood from the west coast of tropical Africa. 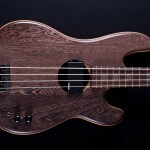 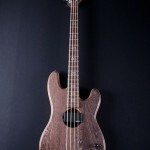 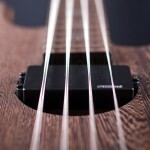 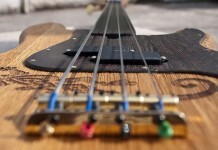 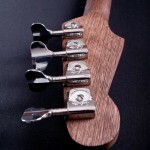 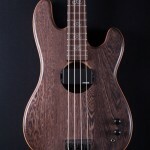 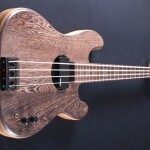 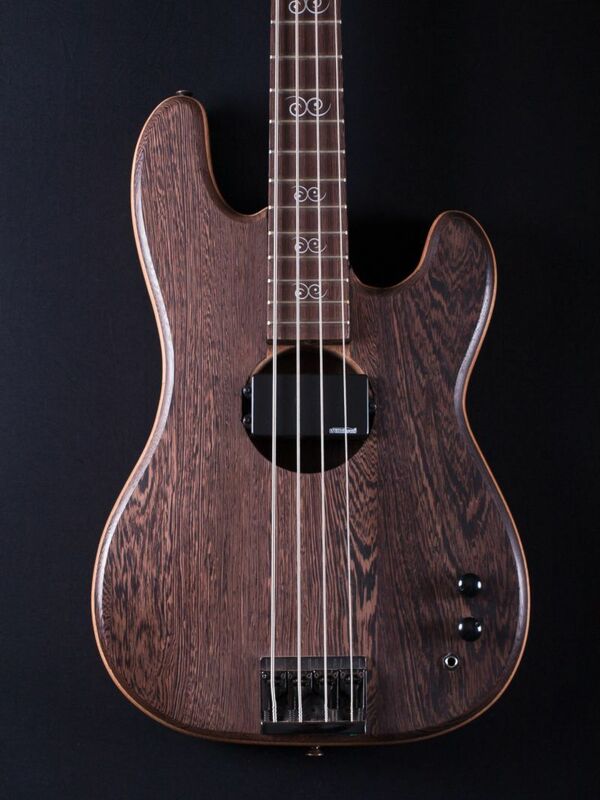 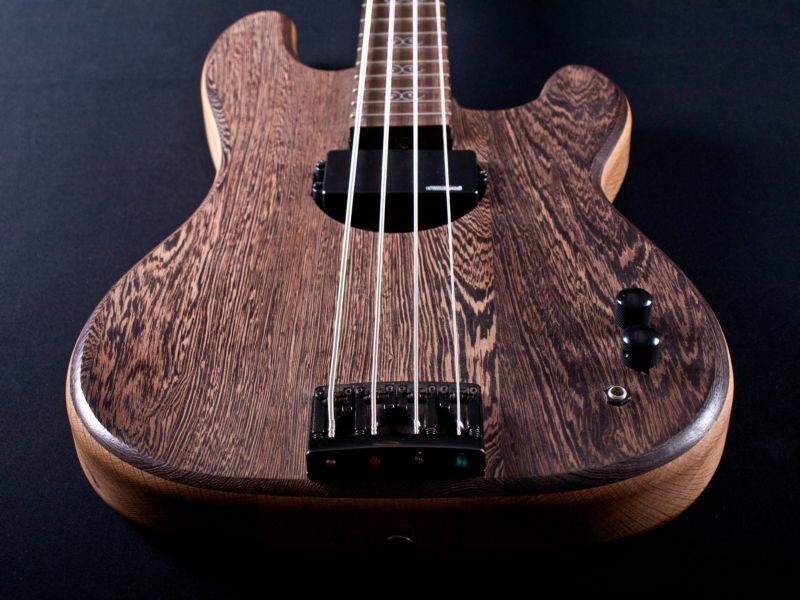 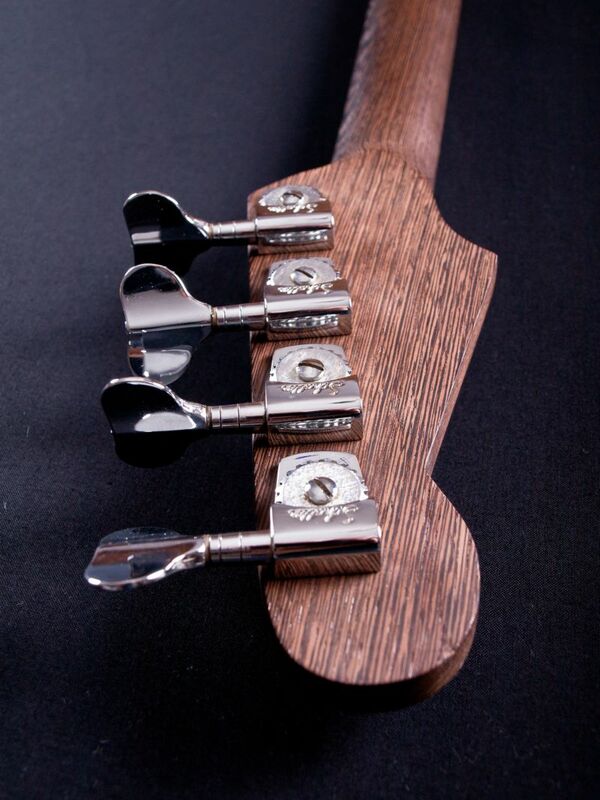 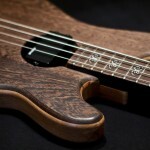 The neck and the fingerboard are made entirely of wenge wood with frets of nickel and zinc alloy. 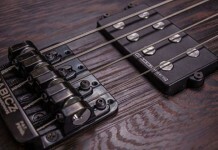 The bridge is made of aluminum alloy in black matte, fully adjustable by Schaller, as are the tuning keys but in nickel. 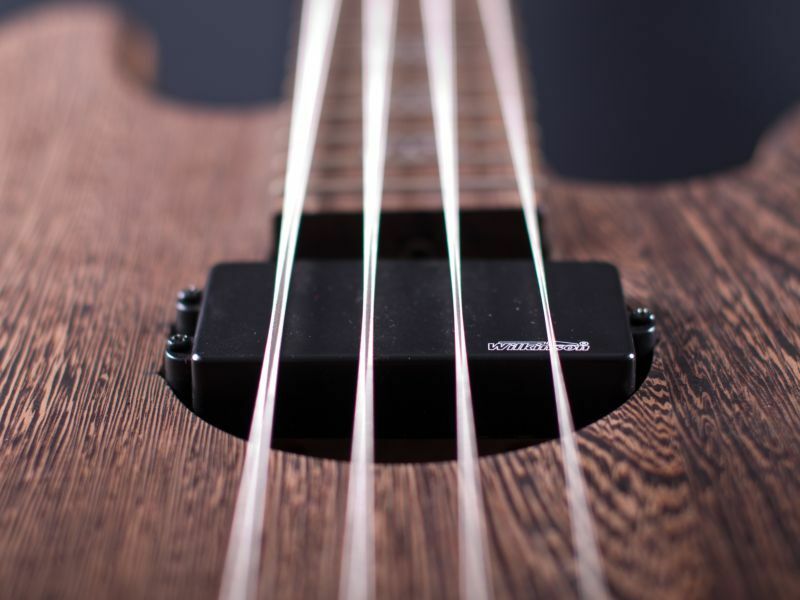 The electric assist is a Wilkinson pickup, series WSME4, producing a strong signal and low noise controlled by one volume and one tone. 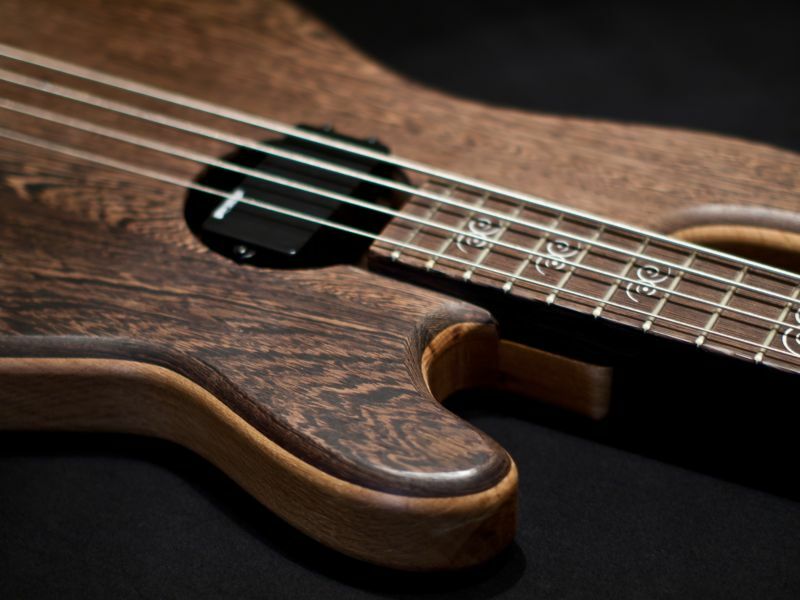 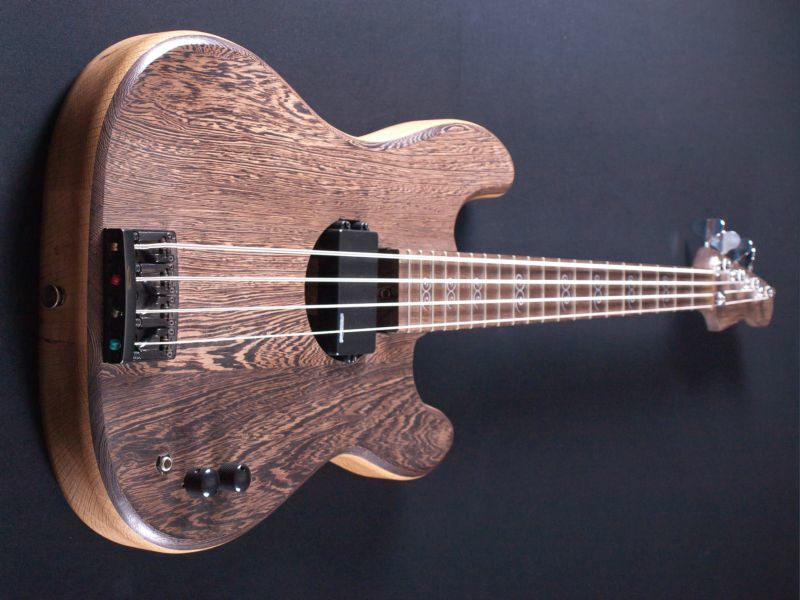 In acoustic mode, the Tigris bass has depth and clarity and in electric mode it produces intensity and sustain. 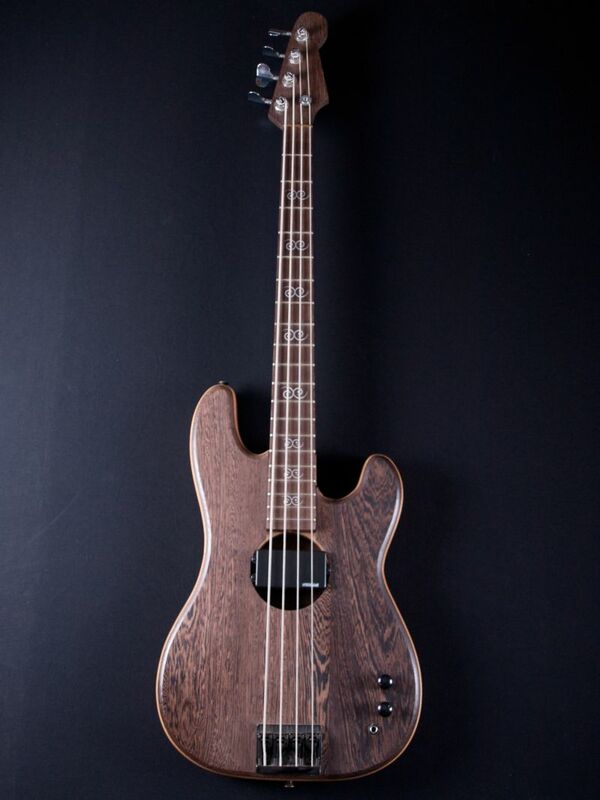 The relatively wide fingerboard combined with the acoustic option makes it ideal for beginners and for practicing. 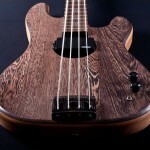 In experienced hands, it is perfect for rehearsals and performances.